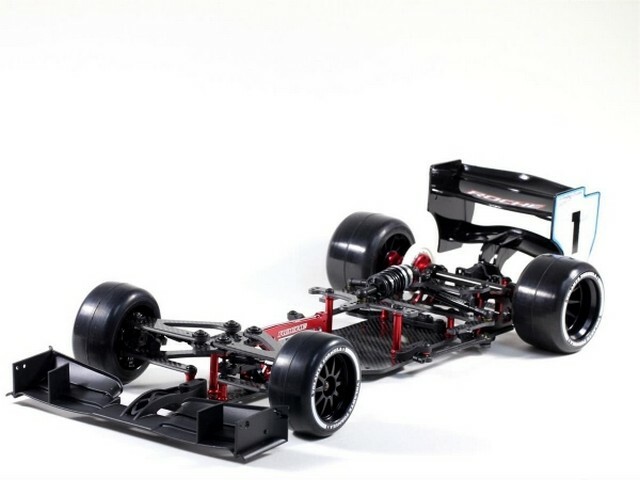 This is a MTS Race OPT 1/10 FFV3 Pro Touring Car Kit. The car is front-wheel drive and is sold already assembled. - Motor position move back to Chassis center at the front to have more balance in Left/Right steering. - 2nd desk is raised up ~1mm to have more chassis flexing to get better traction and more steering. it also allows some thicker batteries to be installed. - Gear differential set can be easily removed through the new design of front pulley holder. - Come with universal drive shaft set at the front with more smooth rotation under steering. - Come with RAS shock with new Top cap design to avoid the shock oil leakage. 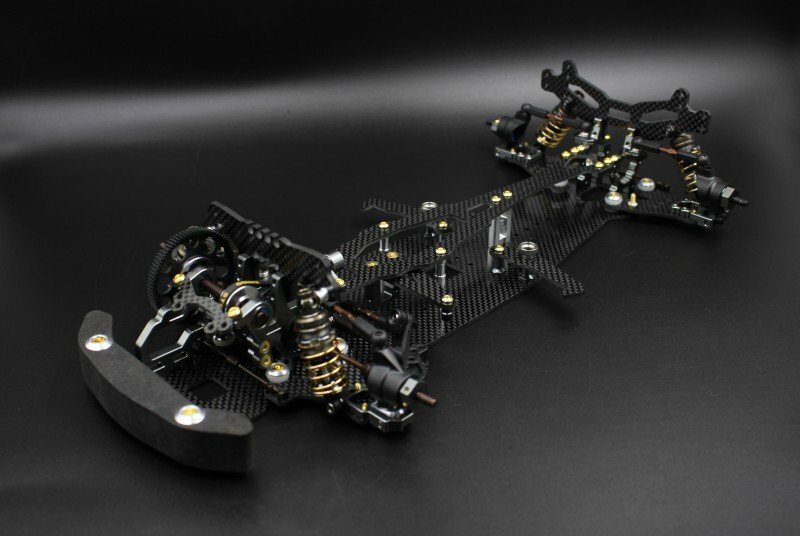 - Graphite suspension arm are hold up by “membrane absorber” that is like the shock membrane function to have quick response to left/right rolling rebounce movement. - New front shock tower design with wire holes and sensor hole to hold up all wires from the speed control to have clean appearance. - New 30/40mm fan mount to lower down the fan to avoid touching the car body. 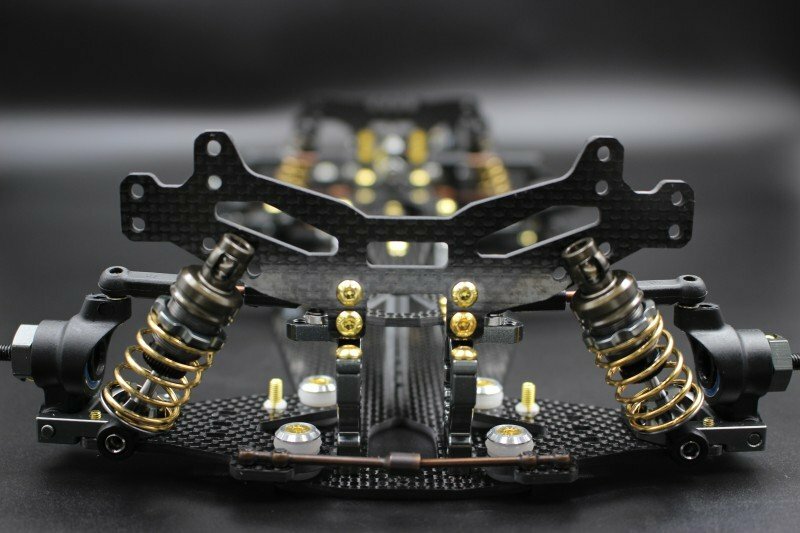 - New graphite suspension arm with better rigidity. - New steering block hold by the aluminum joint holder without the need of C-hub and with 2’, 4’ and 6’ cluster selection. - New kind of anti-roll bar rod with easy of installation and having 1.6,1.8 and 2.0 hardness selection. This is a new car GLR 1:28 2wd for GL Racing company. We are proud to present our design for the RWD format, the GLR 2wd! 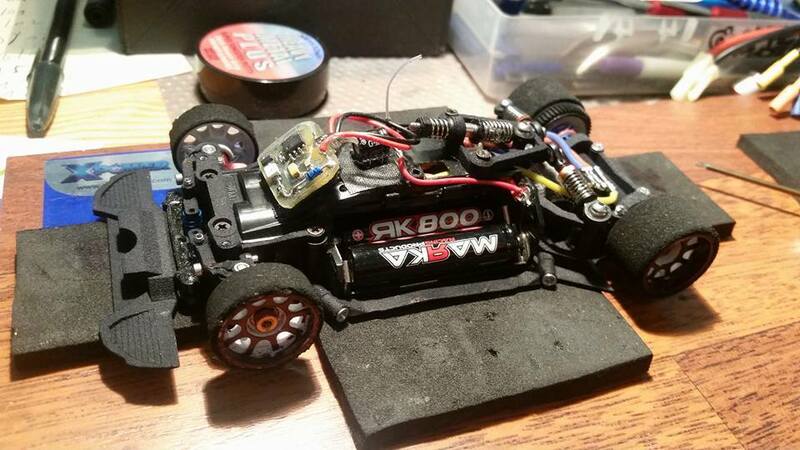 RWD is the chassis format favored by on-road RC cars for years, it’s advantage on smooth high grip surfaces cannot be underestimated, where low c.g. and light weight have key advantages. Fans also love the simplicity of this type of layout, easy to setup. 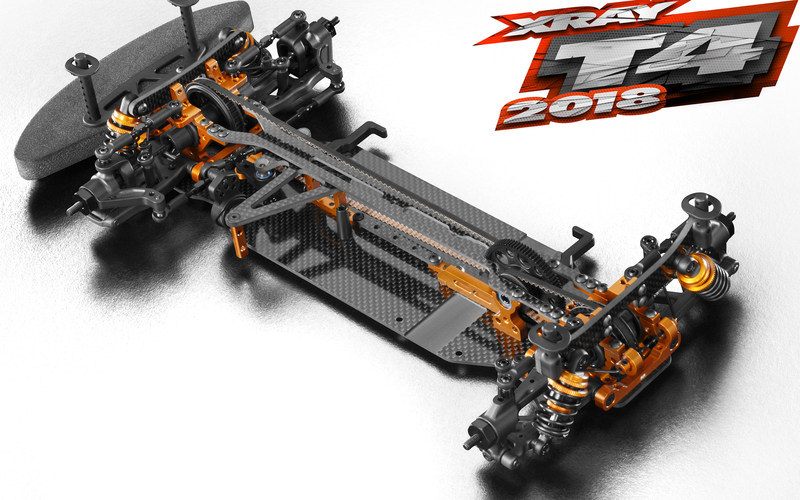 Xray touring T4 2018 in scala 1/10. Nuovo layout degli ammortizzatori Ultra Low Profile ULP. I nuovi ammortizzatori sono più bassi di ben 4 millimetri. veloci e una risposta più precisa dello sterzo. Nuovi Ammortizzatori ULP Ultra-low profile. Nuove Torri ammortizzatori in carbonio ULP. Nuovo Supporto motore in centro al telaio. Nuove Opzioni flex per il telaio. 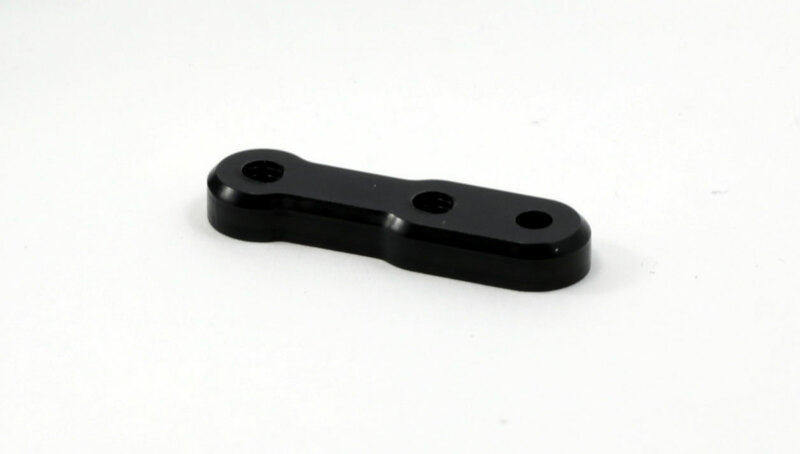 – New design O-ring type battery mounting chassis brace. 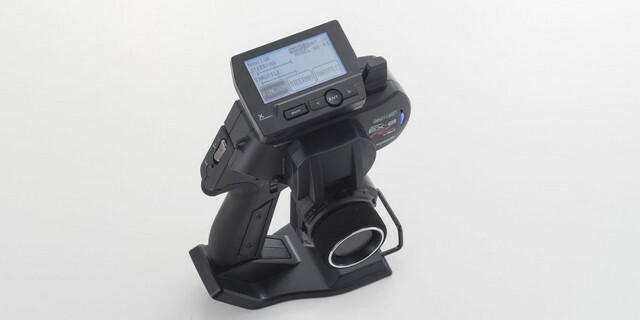 Kyosho’s high-end Syncro EX-6 transmitter utilizing the innovative MHS (Mini-Z Hybrid Spread) 2.4GHz system that combines both Frequency Hopping (FH-SS) and Direct Sequence (DS-SS) spread spectrum has evolved with the fastest multifunctional transmitter in MINI-Z history into the new “R” version. While the improved interference resistance and stability of the MHS 2.4GHz system represents a significant evolution from the ASF 2.4GHz and FHS 2.4GHz systems, the greatest benefits are due to the high-speed processing and communication that realizes greater linear control feel, enabling the machine to be maneuvered exactly as intended along optimal running lines. In addition, the EX-6R features a newly designed throttle with revised length, shape, operating angle and sensor for greater direct feel as well as a new softer steering spring for greater sensitivity to realize superior driving performance. Incorporating the fastest control system in MINI-Z history, the MHS 2.4GHz system transmitter is a must-have item for racers looking for significant improvements in lap times. ●High-end multifunction transmitter incorporates MHS 2.4GHz system for the fastest processing speed in MINI-Z history and vastly improved operability. ●Backward compatibility allows switching between MHS and ASF 2.4GHz systems. ●Features the broad functionality expected of a high-end transmitter. 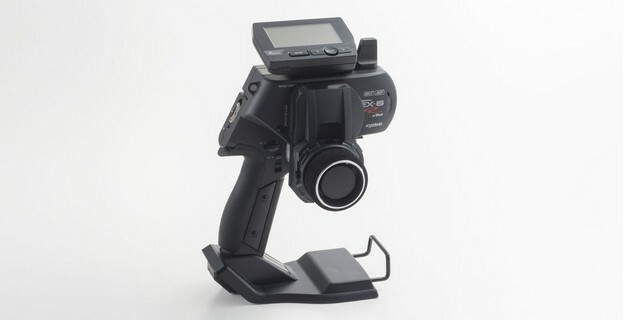 ●Features 2.7inch LCD. Screen display can be switched between English and Japanese. ●Throttle and steering spring tension can be adjusted. Alu 7075-T6 Lower Suspension Arm for MDF14 is designed, developed and made in Italy. 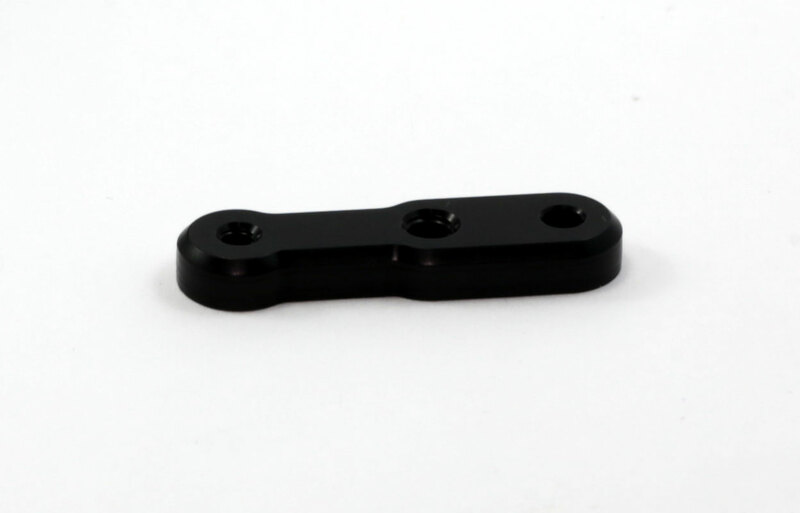 The lower arm has 2mm thick of Avional Alu 7075-T6 and is annodized in black color. The lower arm has 2.5mm more than the original carbon part and the total front get larger of 5mm. The lower arms flex less than the original carbon arms and the car gets more stability. It is easy to drive and more speed in the corner. It can be used with the carbon or alu chassis in low, medium and high grip conditions. Aluminum 7075-T6 MDF14 pod lower plate is designed, developed and made in Italy. The pod lower plate has 2mm thick of Avional Alu 7075-T6 and is annodized in black color. Countersunk holes for smooth, flat bottom. Aluminum 7075-T6 MDF14 chassis is designed, developed and made in Italy. 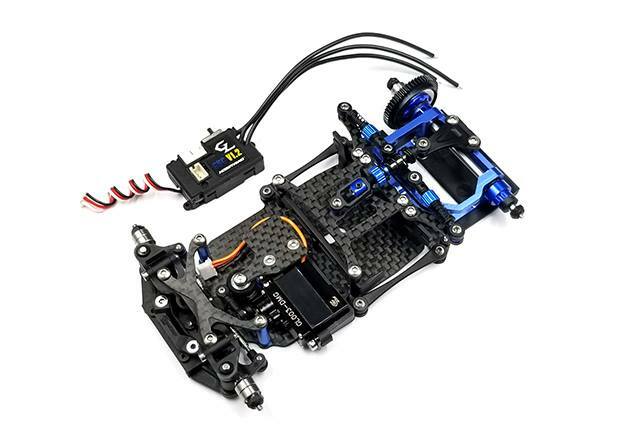 The chassis has 2mm thick of Avional Alu 7075-T6 and is annodized in black color. The alu chassis increases stability in medium and high grip conditions. 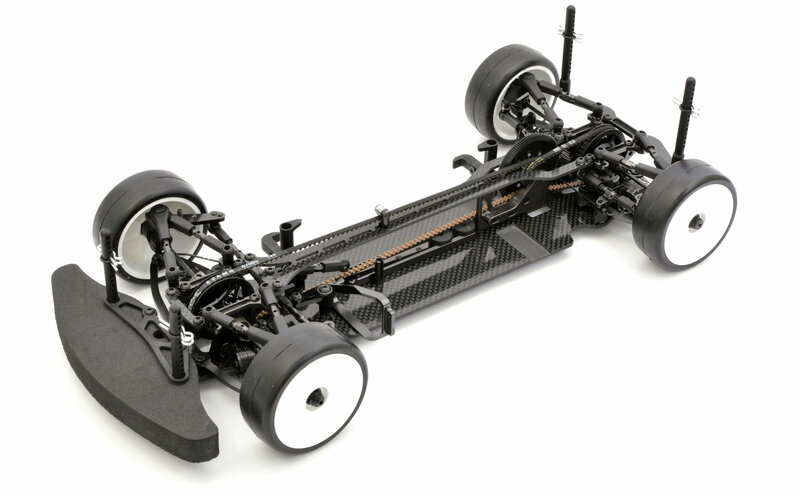 The alu chassis give you more traction and makes the car easier to drive. 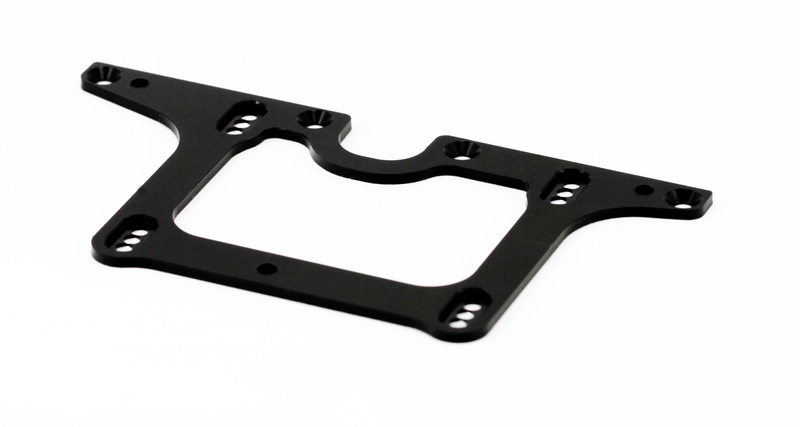 The front plate from Marka Racing brand is made in Aluminum 7075-T6 for Formula. This upgrade allows to use/change different front wings without changing the distances of the holes on the body front part. On the plate it is mounted a plastic column (supplied in the car kit) and it is fixed on the wing. 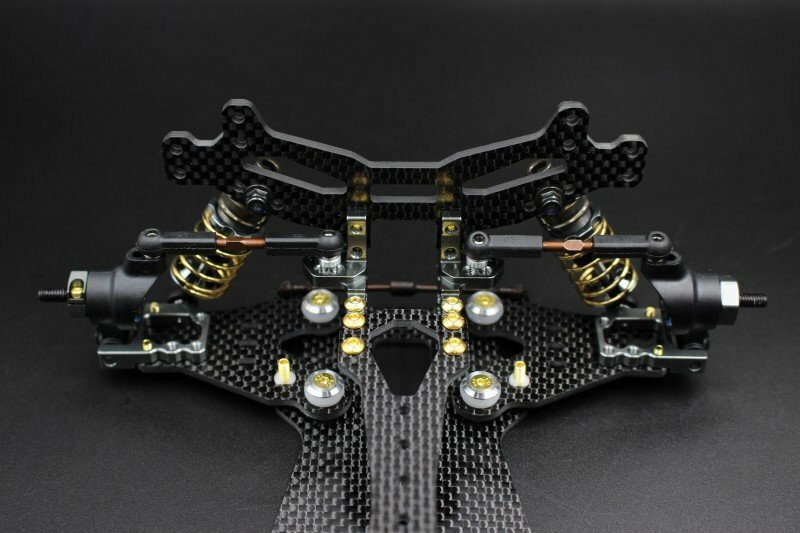 With this upgrade you are no longer forced, when you replace the wing, to change the location of the holes on the front of the body. The plate is worked on CNC machine and anodized later in black color. The package includes a plate in aluminum (Ergal 7075-T6). 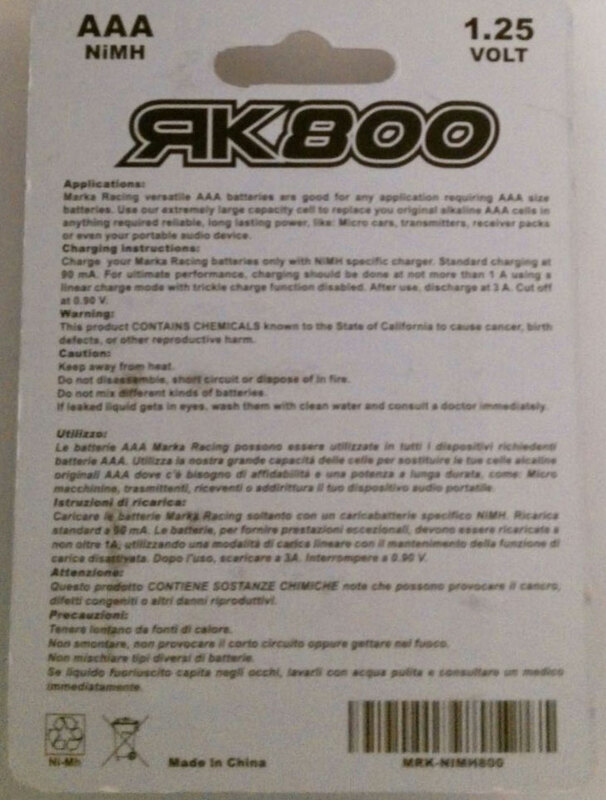 There are two versions, one for the formula (MRK-6052) MD Racing and another for (MRK-6051) Xray X1, Yokomo and other. This products are Made in Italy! This is the replacement tube Marka Racing for damper of MD Formula Racing car. It is produced in Aluminium (Ergal 7075-T6) and using this upgrade you will have greater smoothness, precision in movement and upper strength. 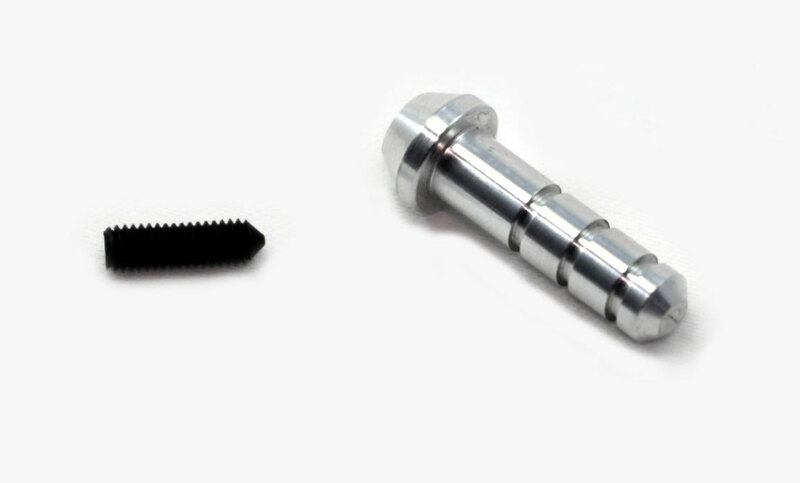 The item include one tube and a steel hex screw SB. 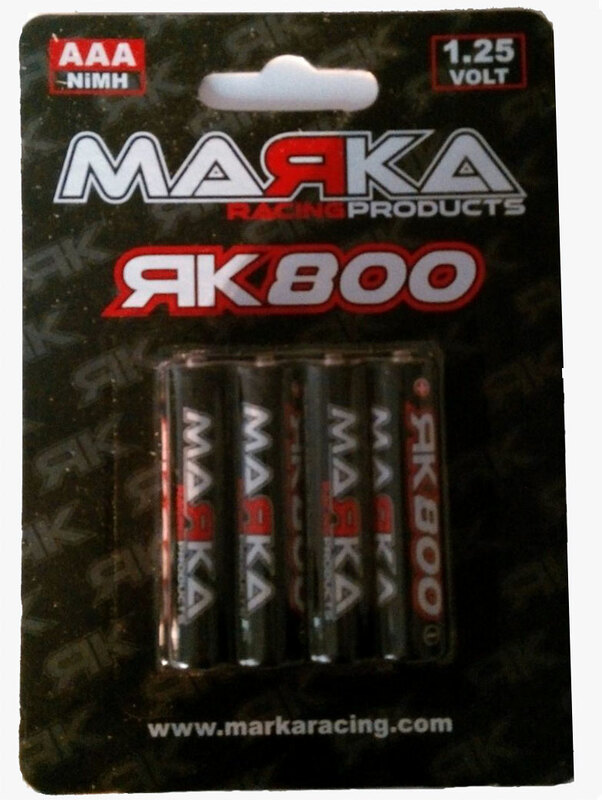 New RK800 batteries produced by Marka Racing. This battery have a good punch and are designed for maximum performance in the race. This battery provide constant voltage output over time, with no drop-off after the first few minutes, ensuring consistent and lasting performance. Ideal for powerful motors, endurance and stock race where consistency is key. Recommend charge at 1.0 Amp for the best performance between power and run time.